With a variety of wine cabinets to choose from - including built-in, free-standing, indoor, outdoor, beverage center cabinets & Cigar Humidor - you're sure to find something that fits your needs. A free standing wine storage cabinet with insulated, UV resistant glass door and high-quality stainless steel frame. Holds (178) Bordeaux sized bottles and features triple temperature zones. Built-in wine storage cabinet with glass and stainless steel door or Black Glass Door. Holds (34) 750mL wine bottles and features dual temperature zones. Built-in wine storage cabinet with glass and stainless steel door and grey enamel sides. Holds (45) 750 mL wine bottles. Features a single temperature zone. A built-in wine storage cabinet with glass and stainless steel, black or white door. 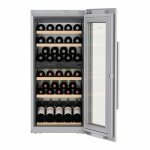 The 1803 is a smaller and more unusually sized wine fridge that holds (18) 750mL and features a single temperature zones. Built-in wine storage cabinet with glass and stainless steel door (HW3000) Holds 30, 750 mL wine bottles and features dual temperature zones. 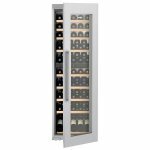 Built-in wine storage cabinet with glass and stainless steel door (HW4800) Holds 48, 750 mL wine bottles and features dual temperature zones. Built-in wine storage cabinet with glass and stainless steel door (HW8000) Holds 80, 750 mL wine bottles and features dual temperature zones. A free standing wine storage cabinet with glass and stainless steel door and stainless steel sides. Warmer drawer for chocolates, accessories or other items. Indoor/outdoor wine and beverage storage cabinet with glass and stainless steel door, as well as stainless steel sides. 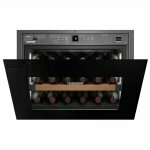 The RO 510 is a smaller wine cellar cooler that holds wine bottles and cans, and features a single temperature zone. Beverage Centre to be built in. The RU 510 measures 5.5 cu. ft. and is a perfect fit for any small space where refrigeration is required. This beverage centre features a single temperature zone. Free standing cigar humidor with glass and stainless steel door and stainless steel sides. Single temperature and humidity controlled with Spanish cedar shelves and storage boxes. Liebherr has been the industry leader in wine storage since the early 1990s, initially creating products for high-end restaurants, wineries, and hotels. 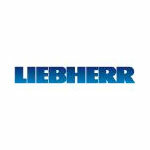 Liebherr customers wanted the same quality found within the Liebherr refrigeration systems for a wine storage line and this is precisely what Liebherr provided. Temperature, humidity, lighting and vibration will all influence how fine wines develop and the Liebherr wine fridge and wine cellar cooler units create the perfect environment for your wine collection. The conditions in which vintage wines are stored are extremely important. Consistently high air quality supplied during the maturing process is enhanced with the activated charcoal filter. German engineering and European design equals top quality. Liebherr's specific electronic controls guarantee that temperature is kept constant and digitally displayed. Wine bottles should always be stored on their side, to help keep the corks moist. Charcoal filters purify incoming air, effectively eliminating the possible impact of foreign odors on the maturing process of your wine. Wooden shelving pull out shelving. Innovative, dimmable LED lights provide an ambient atmosphere. Since any heat generated by the LEDs is minimal, your wines can be presented for a longer time period. Specially developed compressors that are designed to minimize noise and eliminate vibration. Top quality insulated and UV tinted glass doors provide a dark storage conditions that vintages demand. Compressors designed to be free from vibration. Right hand hinge is standard, however, can be changed to left hand hinge for a fee - please inquire. Liebherr's free-standing wine cabinets and beverage centers have finished sides and top that are completely clad in stainless steel. The built-in wine cabinets do not have finished sides or top, and are meant to be placed within cabinetry. Some of the free-standing units may be built-in as they are front-venting, but can be stand-alone since they have stainless steel sides. 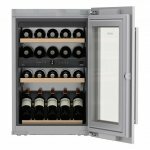 Liebherr's single temperature zone wine cabinets allow you to regulate one set temperature throughout the cabinet - ideal for storing and/or aging wine. The Dual zone wine cabinets allow you to set and maintain two separate temperatures within one cabinet. This configuration is ideal for keeping red and white wine at immediate serving temperature. The Three zone wine cabinet can be configured in a number of ways. The most popular configuration is using the top two zones to keep reds and whites at their separate serving temperature and the bottom zone for storage. Another option is using one zone to keep champagne at its ideal serving temperature. Unlike other wine refrigerators, which only have cooling functions, Liebherr is also capable of heating to maintain the perfect conditions should the wine cabinets surroundings drop below the desired temperature. Should the temperature of the space where the cabinet is sitting approaches 50°F (10°C). a heating function will allow the cabinet to warm slightly to the desired 13-15 degrees. The heating elements also allow for 2 pieces to be put side by side without any moisture build-up on the side walls. Please note, Liebherr cabinets are not designed to be placed in really cold environments. The lowest temperature of the space where the cabinet is sitting should not be below 50°F (10°C). A heating function will allow the cabinet to warm slightly to the desired wine temperature. Liebherr's outdoor products are configured to withstand a greater ambient temperature gradient on the hotter side +50°F to 100°F (+10°C to +38°C) than the standard indoor cabinets.